Sanjib Chattopadhyay in a file photo. 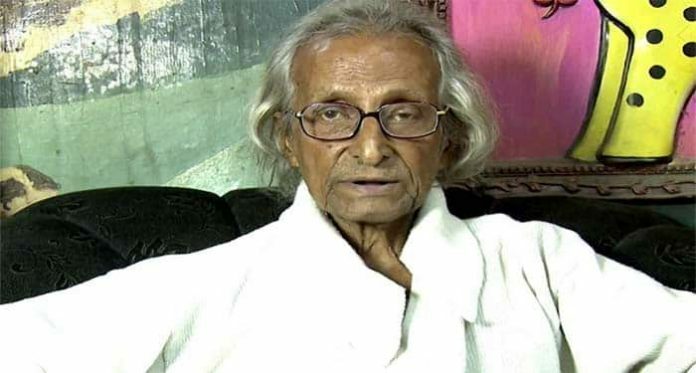 Kolkata: Leading Bengali writer, Sanjib Chattopadhyay, has been announced a recipient of this year’s prestigious Sahitya Academi award. Sahitya Academi, which announced its annual award in 24 languages in New Deli today, has been selected for his book of Bengali short stories ‘Srikrishner Sesh Kata Din’ (The Last Few Days of Srikrishna). 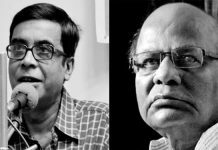 K Sreenivasarao, secretary of Sahitya Academi, has said in a statement that Chattopadhyay’s book has been selected for the award by a jury comprising several eminent Bengali writers, poets, and academicians. The award which includes a memento, a shawl, and Rs 1-lakh cash, will be handed over to Chattopadhyay and the recipients of the award in other languages at an event in New Delhi on 29 January. Prior to this, the other major award that was bestowed on him was Ananda Puraskar in 1981, which is awarded by leading Bengali publishing house ABP Group. Chattopadhyay was born in Kolkata on 28 February 1936. His mother died when he was just five years old. Since his father was posted in Chota Nagpur, Chattopadhyay received initial schooling there. He was relocated to Victoria Institution in Kolkata when he was in class VII. After passing out from school, Chattopadhyay did his college in chemistry from Scottish Church College in the city. He began professional career as a state government employee but later he switched over to journalism. In the course of doing journalism, he started writing short stories and novels. Chattopadhyay mostly wrote for teenage and young people. His notable novels are ~ Lotakambal (The vessel and Quilt), Shakha Prasakha (Branches), Swetpatharer Tebil (The Ivory Table), and Iti Palash (Adieu Palash). For the past few years, he has been focusing on writing on the life and times of Sri Ramakrishna, his wife Sarada Devi, and Swami Vivekananda.